After a perfect start to the season East Campbelltown Eagles have joined Cabramatta Two Blues on top of the competition table of the NSWRL Sydney Shield competition. The solid 26-6 victory over Ryde-Eastwood Hawks on Saturday at Leichhardt Oval has the Eagles, the reigning premiers, on four wins from four outings. Three of them have been away matches, making the Eagles’ start to the 2019 season even more impressive. Eagles are perched on top of the table, ahead of Cabramatta on a slightly better for and against differential. Four from four: Amanono Tovio on the burst for the Eagles on the weekend against Ryde-Eastwood. Whatever happens at the end of the season, coach Richard Barnes has built a special footy team at East Campbelltown. If you’d like to see for yourself how special, this Sunday, April 14, the Eagles are at home for the annual Ben Stevens Memorial Cup – a big day for the club as it remembers one of its own. The Eagles will be hosting Wentworthville Magpies at Waminda Oval at 2.30pm in first grade, with the lower grades kicking off from 11.30am. Against Ryde-Eastwood on Saturday the Eagles posted their first points courtesy of their captain, Mason Talolua. 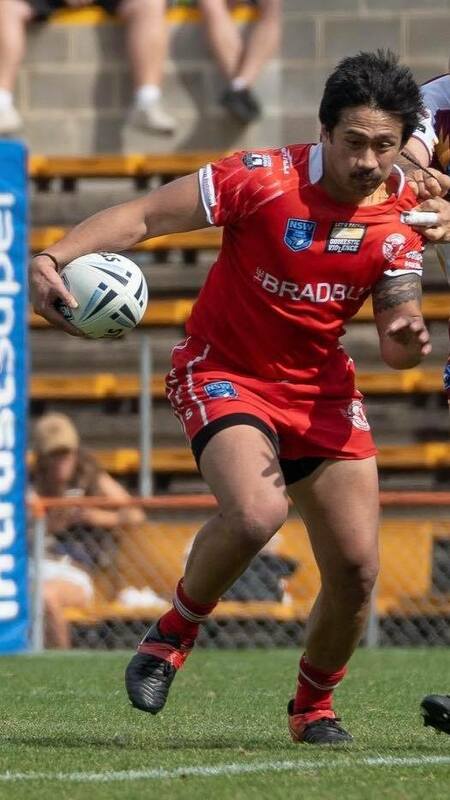 When Eddie Vatuvei crossed for a second Eagles try and Brett Lahey, who was deputising for Sean Connor, kicked two from two, the boys from Campbelltown were well and truly on their way to their fourth win from as many outings. Ryde-Eastwood crossed for their first try on the stroke of half time to go into the break just six points behind at 12-6. But the second half belonged to East Campbelltown, with tries to Brett Lahey, Craig Moustakas and Eddie Vatuvei putting the result beyond doubt. Best for the Eagles in the 26-6 win were Eddie Vatuvei, Grant Lahey and Guy Thompson. Their players’ player award went to Brett Lahey and the man of the match to Alex Potifara. In the lower grades, East Campbelltown 23s went down to Guildford 16-8, while reserve grade recorded a solid win, defeating East Hills 22-16.